Ratchets and straps are also known as tie down straps, tie down belts, bale straps, ratchets, straps, cargo lashings to name a few. 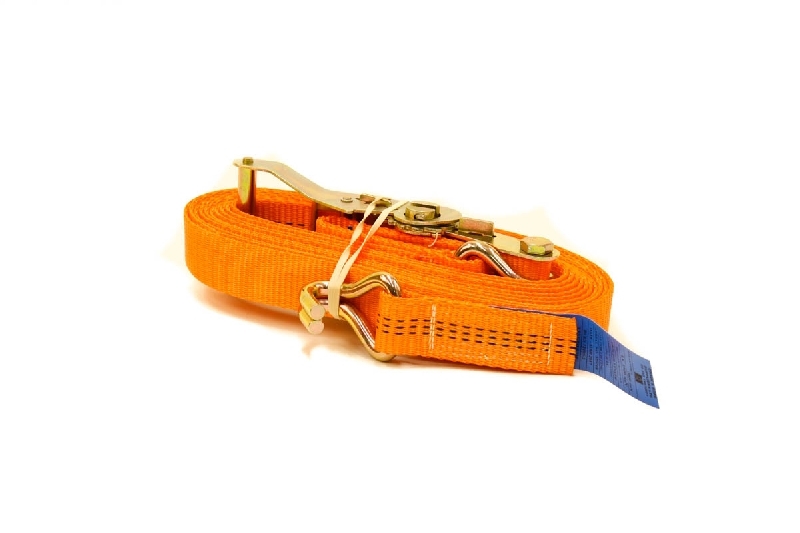 Ratchet straps are manufactured by stitching a hook onto a length of tie down webbing. 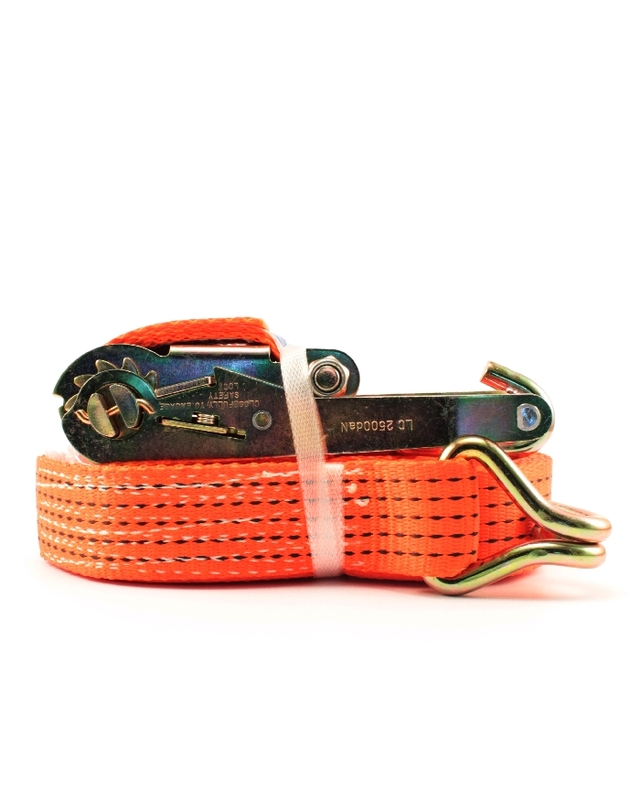 Another shorter hook and web is stitched on to a ratchet handle assembly the long strap is passed over the load to be secured and hooked to something solid generally the body of the truck or trailer. 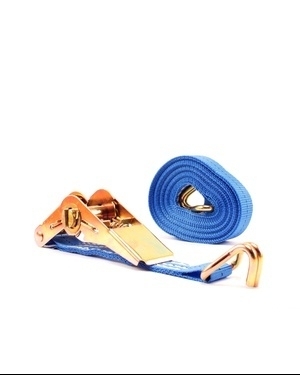 The blank end of the strap is fed through the ratchet handle which is then hooked to the other side of the truck or trailer. The excess slack is removed from the strap by hand. The handle on the ratchet piece is then cranked and using the mechanical advantage of the handle the strap tightens in the load securing it to the trailer. Only when the ratchet brake is disengaged will the ratchet and strap loosen allowing the load to move. In addition to standard ratchet and strap configurations for load securement. 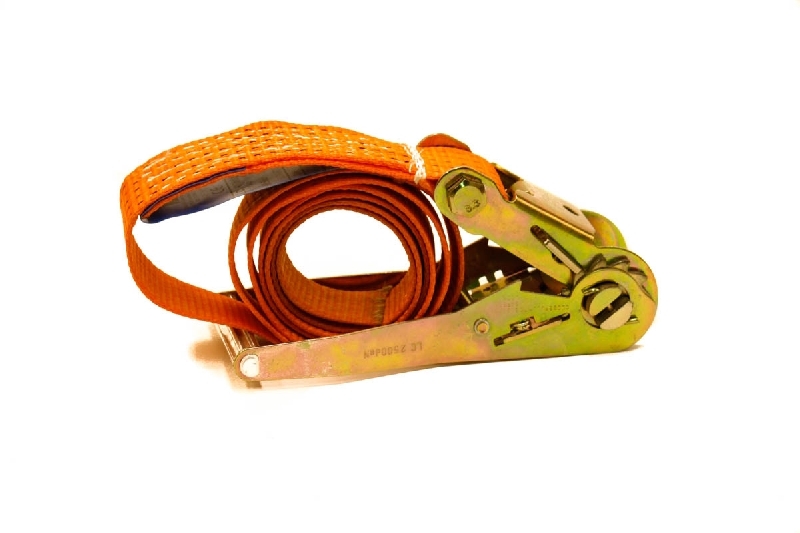 Chain and Rope Suppliers Ltd also offer an endless ratchet straps, quick release ratchet straps, crocodile clips and thumb straps. 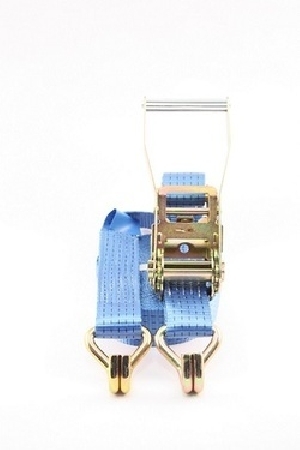 We can also manufacture ratchet straps using black webbing which is preferred by the entertainment industry as it absorbs bright stage lighting.